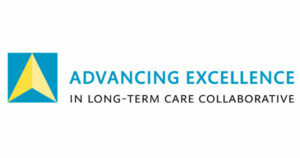 Lisa Thomson, Pathway Health’s Chief Strategy and Marketing Officer, has been appointed to the Advancing Excellence in Long-Term Care Collaborative (AELTCC) Board of Directors as an industry thought leader. In this role, she has also committed to improve the quality of life for patients and residents across all post-acute and long-term services and supports (PALTSS) settings of care. Pathway Health is pleased to be actively engaged with AELTCC, an organization that defines and addresses critical issues facing healthcare today. Backed by a diverse group of stakeholders from post-acute and long-term care, supports and services industries, AELTCC works to fulfill its mission of providing collective leadership and developing policy recommendations around vital issues affecting PALTSS. We are your trusted experts in the long-term care and post-acute care continuum, and we strive to offer insight and educational opportunities to advance your career and strengthen your leadership skills. We are proud to engage our community and prove ourselves as trusted thought leaders in the industry. For more information, or to discuss how you can keep on the right path in your career, contact us.